I’ve been an athlete for 30 years—mainly racing mountain bikes, road bikes and running—but the food thing always eluded me in the complete picture. I’ve known of Gale’s coaching and racing for a long time. So when I heard she was coming out with a book about nutrition and eating well, I was excited to see what ideas were going to be in the book. I read Become a Fat Burning Machine and I found the information exciting and accurate. I have known sugar to be the cause of metabolic syndrome and a catalyst of many other diseases including one of my own family member’s metastatic breast cancer. In spite knowing sugar is a problem for disease, I still couldn’t seem to change my own diet until I read Become a Fat Burning Machine. Initially, I made the changes in my eating just to feel and race better – but – within a matter of weeks my clothes were fitting loose. I have lost about 10 pounds to date and have had one of the best racing seasons ever! I had lost weight before but always gradually put it back on because I had not cut sugars out of my diet. I’ve found with the Fat Burning Machine eating plan that if I just stuck to their recipes (which have all been wonderful) and added some of my own ideas the weight just comes off. It really has amazed me! I love feeling light again! The sweet sugary things are always a temptation and I am not sure if that craving ever goes away. But I know that to feel good and be healthy giving in to sugar is not worth the compromise. Editor’s Note: Sandi’s success story was written in the summer of 2016. 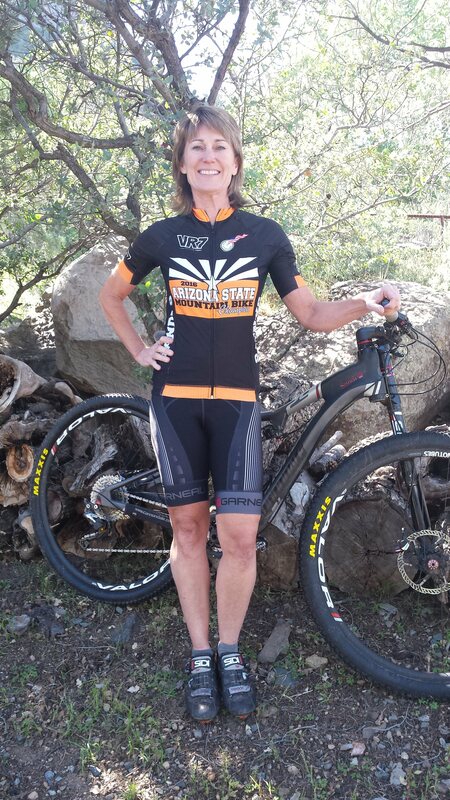 Her fall racing in Arizona continued to be very successful with her placing in the top two overall females of several mountain bike races. 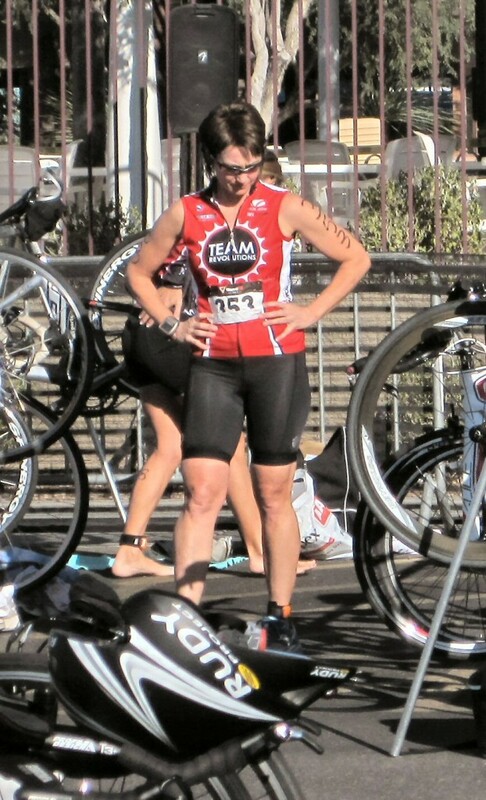 A great accomplishment for any female athlete and especially noteworthy because Sandi is a masters racer. Sandi dropped Gale a note in September to let her know she believes her successful racing is due to becoming a Fat Burning Machine. This entry was posted in Testimonials, Transformation Stories. Bookmark the permalink. Mike, before he discovered his metabolic syndrome; and Mike, now a Fat-Burning Machine.